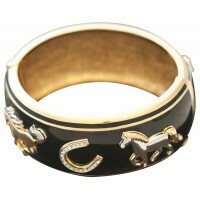 Meticulously crafted and hand finished to the highest standard, our products at Ari D. Norman are designed and made in Britain. 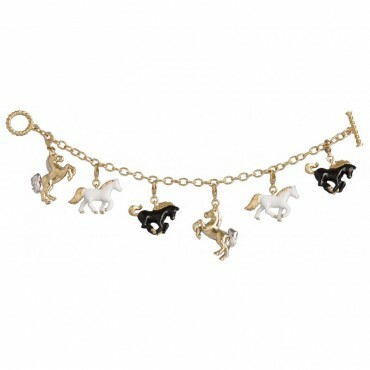 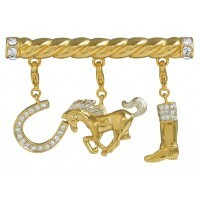 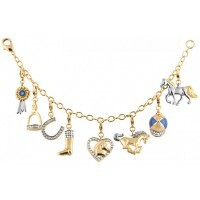 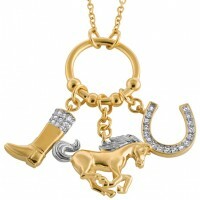 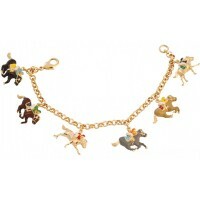 Our gold plated metal alloy equestrian bracelet with enamel horse charms is ideal given as a gift for a memorable event, occasion or a milestone birthday. Featuring detailed small enamel horse charms, this gold plated bracelet has been crafted by our expert British craftsmen to create luxury jewellery that can be admired for a lifetime.